In the new report, Brian elaborates on the downsides of a VAT. If the DBCFT turns into a subtraction-method VAT, its costs would be further hidden from taxpayers. Workers would not easily understand that their employers were paying a big VAT withholding tax (in addition to withholding for income tax). This makes it easier for politicians to raise rates in the future. …Keep in mind that European nations have corporate income tax systems in addition to their onerous VAT regimes. And he points out that those who support the DBCFT for protectionist reasons will be disappointed at the final outcome. …if other nations were to follow suit and adopt a destination-based system as proponents suggest, it will mean more taxes on U.S. exports. Due to the resulting decline in competitive downward pressure on tax rates, the long-run result would be higher tax burdens across the board and a worse global economic environment. Brian concludes with some advice for Republicans. Lawmakers should always consider what is likely to happen once the other side eventually returns to power, especially when they embark upon politically risky endeavors… In this case, left-leaning politicians would see the DBCFT not as something to be undone, but as a jumping off point for new and higher taxes. A highly probable outcome is that the United States’ corporate tax environment becomes more like that of Europe, consisting of both consumption and income taxes. The long-run consequences will thus be the opposite of what today’s lawmakers hope to achieve. Instead of a less destructive tax code, the eventual result could be bigger government, higher taxes, and slower economic growth. My concern with the DBCFT is partly based on theoretical objections, but what really motivates me is that I don’t want to accidentally or inadvertently help statists expand the size and scope of government. And that will happen if we undermine tax competition and/or set in motion events that could lead to a value-added tax. Let’s close with three hopefully helpful observations. Helpful Reminder #1: Congressional supporters want a destination-based system as a “pay for” to help finance pro-growth tax reforms, but they should keep in mind that leftists want a destination-based system for bad reasons. Based on dozens of conversations, I think it’s fair to say that the supporters of the Better Way plan don’t have strong feelings for destination-based taxation as an economic principle. Instead, they simply chose that approach because it is projected to generate $1.2 trillion of revenue and they want to use that money to “pay for” the good tax cuts in the overall plan. That’s a legitimate choice. But they also should keep in mind why other people prefer that approach. Folks on the left want a destination-based tax system because they don’t like tax competition. They understand that tax competition restrains the ability of governments to over-tax and over-spend. Governments in Europe chose destination-based value-added taxes to prevent consumers from being able to buy goods and services where VAT rates are lower. In other words, to neuter tax competition. Some state governments with high sales taxes in the United States are pushing a destination-based system for sales taxes because they want to hinder consumers from buying goods and services from states with low (or no) sales taxes. Again, their goal is to cripple tax competition. Something else to keep in mind is that leftist supporters of the DBCFT also presumably see the plan as being a big step toward achieving a value-added tax, which they support as the most effective way of enabling bigger government in the United States. Helpful Reminder #2: Choosing the right tax base (i.e., taxing income only one time, otherwise known as a consumption-base system) does not require choosing a destination-based approach. The gold standard of tax reform has always been the Hall-Rabushka flat tax, which is a consumption-base tax because there is no double taxation of income that is saved and invested. It also is an “origin-based” tax because economic activity is taxed (only one time!) where income is earned rather than where income is consumed. The bottom line is that you can have the right tax base with either an origin-based system or a destination-based system. Helpful Reminder #3: The good reforms of the Better Way plan can be achieved without the downside risks of a destination-based tax system. 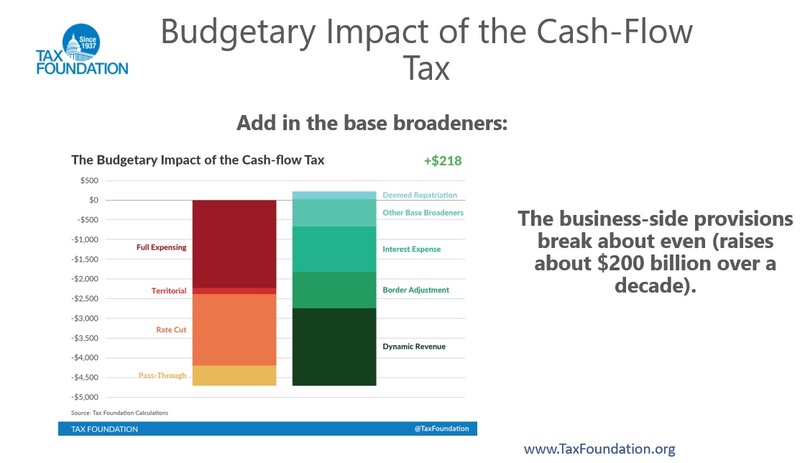 The Tax Foundation, even in rare instances when I disagree with its conclusions, always does very good work. And they are the go-to place for estimates of how policy changes will affect tax receipts and the economy. Here is a chart with their estimates of the revenue impact of various changes to business taxation in the Better Way plan. As you can see, the switch to a destination-based system (“border adjustment”) pulls in about $1.2 trillion over 10 years. And you can also see all the good reforms (expensing, rate reduction, etc) that are being financed with the various “pay fors” in the plan. I am constantly asked how the numbers can work if “border adjustment” is removed from the plan. That’s a very fair question. 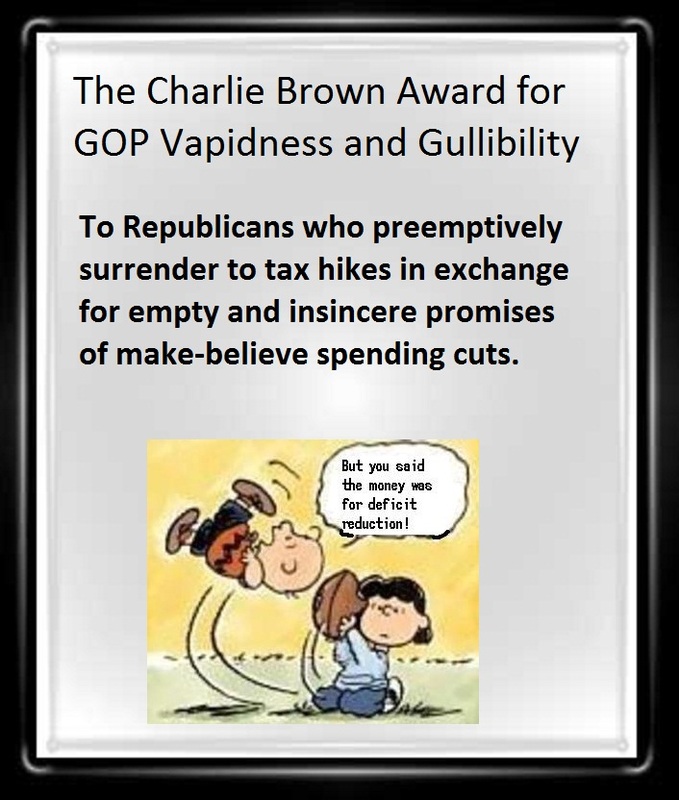 Make a virtue out of necessity by reducing government revenue by $1.2 trillion. Reduce the growth of government spending to generate offsetting savings. Find other “pay fors” in the tax code (my first choice would be the healthcare exclusion). Reduce the size of the tax cuts in the Better Way plan by $1.2 trillion. I’m not pretending that any of these options are politically easy. If they were, the drafters of the Better Way plan probably would have picked them already. But I am suggesting that any of those options would be better than adopting a destination-based system for business taxation. Ultimately, the debate over the DBCFT is about how different people assess political risks. House Republicans advocating the plan want good things, and they obviously think the downside risks in the future are outweighed by the ability to finance a larger level of good tax reforms today. Skeptics appreciate that those proponents want good policy, but we worry about the long-run consequences of changes that may (especially when the left sooner or late regains control) enable bigger government. P.S. This is not the first time that advocates of good policy have bickered with each other. During the 2016 nomination battle, Rand Paul and Ted Cruz plans proposed tax reform plans that fixed many of the bad problems in the tax code. But they financed some of those changes by including value-added taxes in their plans. In the short run, either plan would have been much better than the current system. But I was critical because I worried the inclusion of VATs would eventually give statists a tool to further increase the burden of government. When I spoke about the Better Way plan at the Heritage Foundation last month, I highlighted the good features of the plan in the first few minutes of my brief remarks, but raised my concerns about the DBCFT in my final few minutes. He wrote a paper several years ago for the Center for American Progress, a hard-left group closely associated with Hillary Clinton. Auerbach explicitly argued that this new tax scheme is good because politicians no longer would feel any pressure to lower tax rates. Led by Speaker Paul Ryan, House Republicans have put forth an anti-poverty agenda. It’s definitely worth reading just for the indictment of the current welfare state. 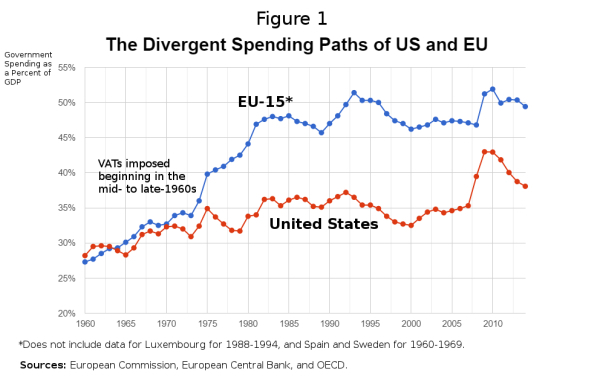 There are some excellent charts, including versions of ones that I’ve already shared on the $1 trillion-plus fiscal burden of current welfare programs, as well as the “bloated, jumbled, and overlapping bureaucracy” that administers all that money. But there are some charts that deserve to be reproduced, either because they contain new insights or because they make very important economic points. 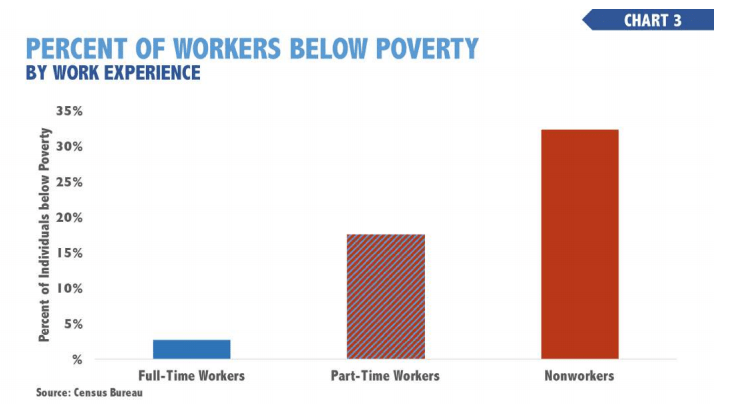 Regarding the former, here’s a chart that indirectly shows that the most effective anti-poverty program is work. Specifically a full-time job. So the real challenge is why there are some households with persistent multi-generational poverty. And, as Thomas Sowell already has told us, that’s a behavioral problem. But it’s somewhat understandable behavior because government in many cases makes dependency more attractive than self-sufficiency. 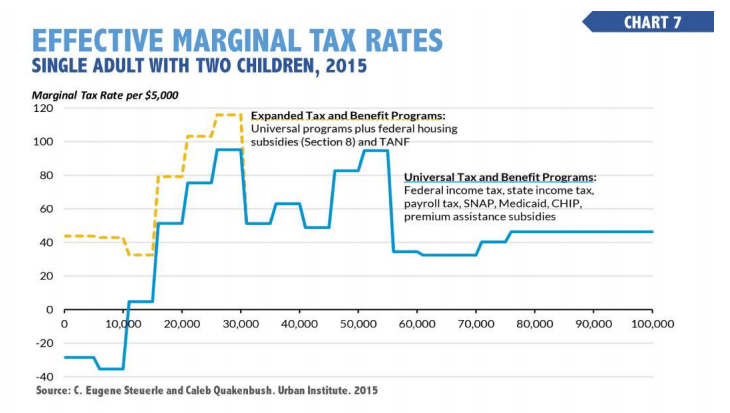 Here’s a chart showing the implicit marginal tax rates that apply if a poor household tries to climb out of poverty. The bottom line is that handouts are so generous that it’s very difficult for a poor person to be better off by working instead of mooching. No wonder dependency is a growing problem! Some folks say the solution to this problem is to reduce the “phase-out” of benefits, but that’s a recipe for making the welfare state vastly more expensive and giving handouts to people who are not poor. That’s the approach in some European nations and it hasn’t worked. Here’s another chart that basically makes the same point about the upside-down incentive structure created by redistribution programs. It shows that a poor household can enjoy a much higher standard of living with low earnings than with high earnings. The bottom line is that the current welfare state is a disaster for both poor people and taxpayers. And this video is an excellent introduction to that topic. But let’s focus on the GOP anti-poverty plan. They put together a powerful indictment of what we have now, but what are they proposing as a solution? Here’s where we get good news and bad news. The good news is that there is a focus on work, as explained in a column for Forbes by Scott Winship of the Manhattan Institute. …the report declares that “Our welfare system should encourage work-capable welfare recipients to work or prepare for work in exchange for benefits, and states should be held accountable for helping welfare recipients find jobs and stay employed.” The blueprint points toward greater use of work requirements and time limits for food stamp recipients and beneficiaries of federal housing benefits who are able to work. …This emphasis on work generalizes the experience from the landmark 1996 welfare reform legislation, which increased work among single-parent families, reduced welfare receipt and (most importantly) lowered poverty. So far so good, and Scott also notes that the key to work is reducing the appeal of being on the dole. Most of the success of welfare reform in encouraging work can be attributed to the ways that it has made receipt of benefits less attractive relative to work. People largely left welfare or chose not to enroll independently of state work promotion efforts. But here’s the problem. There’s no big attempt to reduce benefits in the GOP proposal. Indeed, it doesn’t even turn programs over to the states, which presumably would lead to better policy since sub-national governments wouldn’t want to be overly generous lest they attract welfare migration. But the dog that didn’t bark in the new agenda is the consolidation and block granting proposed in Speaker Ryan’s Budget Committee discussion draft from 2014. Rather, the blueprint appears to envision increased use of state waivers in the various programs… It is worth recalling that in the 2014 discussion draft, the “opportunity grants” that would have combined a dozen federal programs and funded them at a fixed level were proposed as a pilot program in a few states. 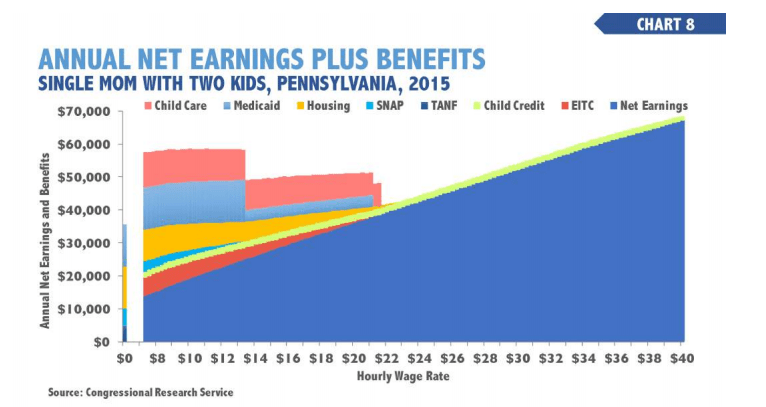 Though at least the plan apparently doesn’t increase the fiscal burden of the welfare state by further expanding the EITC, which already is the federal government’s most costly redistribution program. The antipoverty blueprint mentions the Earned Income Tax Credit (EITC)…only in passing. On the one hand, the report points out that an expanded EITC would be one way to reduce some of the high marginal tax rates that recipients of federal aid face when they contemplate working. On the other, the program’s high rate of improper payments is also emphasized, rightfully, as a problem that must be addressed. Scott also points out that the Republican plan also foresees a much more aggressive attempt to measure what works and doesn’t work. Which is good, though hardly necessary since we already know that a one-size-fits-all approach from Washington is a recipe for ever-higher costs and ever-increasing dependency. Indeed, there’s even a Laffer Curve-type relationship between welfare spending and poverty. Let’s check out a couple of other reactions. From the left, Jordan Weissman of Slate is predictably unimpressed. As part of his effort to convince Americans that the Republican Party is [not] a band of nihilistic anti-government lunatics—House Speaker Paul Ryan unveiled…an anti-poverty plan. Which is a laugh riot. …Most of the agenda is a rehash of, or at least a variation on, material Ryan has trotted out before. Inspired by the welfare reforms of the 1990s, the speaker still wants to push more safety net beneficiaries to go to work, devolve more program control down to state and local officials, and yet somehow increase accountability and carefully monitor results… There’s also some talk about increasing the Earned Income Tax Credit for low-wage workers—which is one of those nice, liberal-conservative consensus positions that never seems to go anywhere. From the right, Kevin Williamson sympathizes with the GOP/Ryan approach, but also makes a more important point in his National Review column. Paul Ryan has just introduced a welfare-reform proposal… We already knew what was going to be in it — work requirements and time limits for able-bodied adults — because there are only so many meaningful avenues of reform. We also know what the Left’s response is going to be: that this is cruel, callous, punitive, etc. But there are really only two choices: Get people moving toward economic self-sufficiency or sustain them forever in the soul-killing state of dependency. There isn’t a third option. Not really. This is only partly about money. We are a very, very rich society, and we can afford to provide decently for people who cannot care for themselves, including children and those who are physically or mentally disabled. But that isn’t our problem: Our problem isn’t people who are physically disabled but people who are morally disabled, people who wouldn’t take a bus 15 minutes to work at a gas station, much less walk 15 miles to do so. My view, for what it’s worth, is that the only good welfare reform is one that shifts all programs to the states as part of a block grant. But since funding redistribution is not a function of the federal government, that block grant should then disappear over time. Last but not least, we need to understand that economic growth is easily the most powerful and effective anti-poverty program. That’s why the poverty rate fell from 90 percent to 15 percent in America before we had a welfare state. And it’s no coincidence that we stopped making progress once the so-called War on Poverty began. P.S. On the topic of poverty, it’s worth remembering that the White House has tried to redefine poverty as part of a dishonest campaign to promote class warfare policies. And the leftist bureaucrats at the OECD are pushing the same disingenuous approach. P.P.S. If you want to know which states have the highest welfare benefits, click here. And if you want to know which ones have the highest overall levels of redistribution, click here. P.P.P.S. There’s at least one honest leftist who understands the human cost of redistribution. Does Jeb Bush’s Support for Higher Taxes Make Him more Fiscally Conservative than Paul Ryan? Since I criticized Paul Ryan’s Roadmap budget plan yesterday as part of my column against the value-added tax, I now feel obliged to defend the proposal in one important respect. In a recent piece for the American Enterprise Institute, James Pethokoukis applauded former Florida Governor Jeb Bush for being willing to accept a tax increase deal. …whatever the real-time political impact of what Bush said, the fiscal analysis supporting it is sound. …Would a GOP president really not accept an entitlement reform deal somehow that kept spending at 20% but only raised revenue to 18.4% of GDP from its postwar average of 17.4%? I actually would accept such a deal as well, at least in theory. After all, the burden of federal government spending – if left on autopilot – is expected to grow to about 40 percent of economic output by 2050. Heck, if I knew I could restrain federal spending so it only consumed 20 percent of GDP in 2050, I’d even accept tax revenues of 20 percent of GDP. So does this mean I’m a Jeb Bush-style squish on taxes? Not at all. Simply stated, the deal that Pethokoukis proposes doesn’t exist. Anywhere. So saying I’d accept such a deal is about as relevant as me saying I’m willing to play quarterback next year for the Georgia Bulldogs. And even if such a deal did exist, I strongly suspect the other side wouldn’t fulfill its side of the bargain. That’s certainly been the track record of previous tax-hiking budget deals. The tax hike gets imposed, but promised spending “cuts” quickly evaporate. So Pethokoukis (and Jeb Bush) are simply being impractical when they put tax hikes on the table. You’re probably wondering at this point how this connects to Congressman Paul Ryan’s Roadmap proposal. Time to reward your patience. Pethokoukis tries to defend Jeb Bush by asserting that Ryan’s Roadmap plan assumes higher levels of taxes and spending. Look at Paul Ryan’s much-celebrated — at least in conservative circles — Roadmap for America. According to its budget plan, government spending in 2039 would be 23.7% of GDP with revenue of 19.0%. Now according to CBO’s alternate budget forecast, 2039 spending is currently on path to be 25.9%. So the Ryan plan would increase historical tax revenue by just less than two percentage points while reducing projected spending by just more than two percentage points. That is nowhere close to 10-to-1. It’s not even 2-to-1. So does this mean Jeb Bush is more philosophically sound than Paul Ryan? Hardly. Pethokoukis is mixing apples and oranges. Or, to be more accurate, he’s mixing apples and rocks. The Ryan Roadmap, like all budget proposals on Capitol Hill, is measured against a “baseline” estimate of what happens if government is left on autopilot. And that baseline assumes huge increases in the burden of government spending (because of entitlements and demographic changes) and a big increase in the overall tax burden (since even modest growth over time pushes households into higher tax brackets). 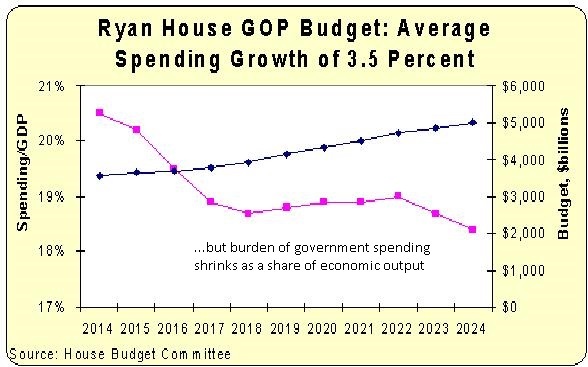 Compared to that baseline, Ryan’s Roadmap would significantly reduce the upward trajectory of spending, and also mitigate the increased tax burden. Here are a pair of charts from the House Budget Committee, showing the long-run impact of the plan on taxes and spending. So while I don’t like the fact that the plan includes a VAT, I very much applaud what Congressman Ryan is trying to achieve. Jeb Bush’s theoretical budget deal, by contrast, would involve adding even more tax revenue on top of all the additional tax revenue that CBO projects. And Bush’s supposed spending cuts would be based on Washington’s funny budget math and measured against the CBO baseline as well, so I feel very safe in asserting that government would be much bigger under a risky tax-hike deal than it would be with Ryan’s Roadmap. This is why the no-tax hike pledge is a valuable way of weeding out politicians who aren’t serious about dealing with the problem of big government. P.S. It’s worth noting that the New York Times accidentally admitted that the only successful budget deal was the one that cut taxes. P.P.S. The first President Bush was a disaster for advocates of limited government, as was the second President Bush, and there’s a very big reason at this point to be skeptical about version 3.0. Libertarians are sometimes accused of being unrealistic and impractical because we occasionally talk about unconventional ideas such as competitive currencies and privatized roads. But having a vision of a free society doesn’t mean we’re incapable of common-sense political calculations. For example, my long-run goal is to dramatically shrink the size and scope of the federal government, both because that’s how the Founding Fathers wanted our system to operate and because our economy will grow much faster if labor and capital are allocated by economic forces rather than political calculations. But in the short run, I’m advocating for incremental progress in the form of modest spending restraint. And if that was the final – and permanent – outcome of the legislative process, I would accept that deal in a heartbeat. But notice I added the requirement about a “permanent” outcome. That’s because I have two requirements for such a deal. 1. The corporate income tax could never be re-instated. So my fear is that some good people will help implement a VAT, based on the theory that it will replace a worse form of taxation. But in the near future, when the dust settles, the bad people will somehow control the outcome and the VAT will be used to finance bigger government. Here are examples to show why I am concerned. Here’s some of what Tom Donlan wrote for Barron’s. …the U.S. imposes the highest corporate tax rate in the developed world. Make no mistake, corporations pay no tax. That is a tax on American consumers, American workers, and American shareholders. Don’t think that the corporate income tax eases your personal tax burden. Add your share of the corporate income tax to the other taxes you pay. Better yet, create a business tax we can all understand. A value-added tax is a tax on consumption. We would pay it according to the amount of the economic resources we choose to enjoy, and we would not pay it when we choose to save and invest in making the economy bigger and more productive. We would pay it on imported goods as much as on those domestically produced. The makers of goods for export would receive a rebate on their value-added tax. Trading the corporate income tax for the value-added tax is one of the best fiscal deals the U.S. could make. America’s corporate tax system is a nightmare. But I think giving Washington a new source of tax revenue is an even bigger nightmare. Professor Greg Mankiw at Harvard, writing for the New York Times, also thinks a VAT is better than the corporate income tax. …here’s a proposal: Let’s repeal the corporate income tax entirely, and scale back the personal income tax as well. We can replace them with a broad-based tax on consumption. The consumption tax could take the form of a value-added tax, which in other countries has proved to be a remarkably efficient way to raise government revenue. Once again, I can’t argue with the theory. But in reality, I simply don’t trust that politicians won’t reinstate the corporate tax. And I don’t trust that they’ll keep the VAT rate reasonable. At this point, some of you may be thinking I’m needlessly worried. After all, journalists and academic economists aren’t the ones who enact laws. I think that’s a mistaken attitude. You don’t have to be on Capitol Hill to have an impact on the debate. Besides, there are elected officials who already are pushing for a value-added tax! Congressman Paul Ryan, the Chairman of the House Budget Committee, actually has a “Roadmap” plan that would replace the corporate income tax with a VAT, which is exactly what Donlan and Mankiw are proposing. …this plan does away with the corporate income tax, which discourages investment and job creation, distorts business activity, and puts American businesses at a competitive disadvantage against foreign competitors. In its place, the proposal establishes a simple and efficient business consumption tax [BCT]. At the risk of being repetitive, Paul Ryan’s plan to replace the corporate income tax with a VAT is theoretically very good. Moreover, the Roadmap not only has good tax reform, but it also includes genuine entitlement reform. But I’m nonetheless very uneasy about the overall plan because of very practical concerns about the actions of future politicians. In the absence of (impossible to achieve) changes to the Constitution, how do you ensure that the corporate income tax doesn’t get re-imposed and that the VAT doesn’t become a revenue machine for big government? By the way, this susceptibility to the VAT is not limited to Tom Dolan, Greg Mankiw, and Paul Ryan. I’ve previously expressed discomfort about the pro-VAT sympathies of Kevin Williamson, Josh Barro, and Andrew Stuttaford. And I’ve written that Mitch Daniels, Herman Cain, and Mitt Romney were not overly attractive presidential candidates because they’ve expressed openness to the VAT. This video sums up why a value-added tax is wrong for America. Last but not least, let me preemptively address those who will say that corporate tax reform is so important that we have to roll the dice and take a chance with the VAT. I fully agree that the corporate income tax is a self-inflicted wound to American prosperity, but allow me to point out that incremental reform is a far simpler – and far safer – way of dealing with the biggest warts plaguing the current system. P.P.S. I also very much recommend what George Will wrote about the value-added tax. P.P.P.S. I’m also quite amused that the IMF accidentally provided key evidence against the VAT. Congressman Paul Ryan, the Republican Chairman of the House Budget Committee, has unveiled the GOP’s latest budget plan. Is this proposal deserving of applause or criticism? The answer is yes and yes, with a bit of emphasis on the former. Let’s start with some depressing news. The Ryan budget has gotten weaker each year. Three years ago, he put forth a budget that limited spending so that it grew 2.8 percent per year. Two years ago, he put forth a budget that limited spending so that it grew 3.1 percent per year. Last year, he put forth a budget that limited spending so that it grew 3.4 percent per year. His latest budget continues this slide in the wrong direction. Here are the numbers from the new budget, showing that the burden of government spending will rise by an average of 3.5 percent annually over the next 10 years. And this is during a time when inflation is projected to be about 2 percent per year! Since it would be foolish to ever expect perfection from the political process, let’s now look at the positive features of the Ryan budget. 1. Spending may be growing, but it would grow at a slower rate than the President’s proposed budget. 2. Spending may be growing, but it would grow at a slower rate than nominal economic output, thus satisfying Mitchell’s Golden Rule. 3. Perhaps most important, the budget contains genuine and structural reform of both Medicare and Medicaid, so it at least partially solves the long-run fiscal crisis. 4. The budget also foresees tax reform, including lower tax rates for households, a 25 percent corporate tax rate, and a move toward territorial taxation. Now let’s close with some hard-to-judge news. The tax reform would be “revenue neutral,” so it’s difficult to accurately assess the proposal without knowing the “revenue raisers” that would offset the “revenue losers” listed above (particularly since lawmakers would be bound by static scoring). If lower tax rates are financed by getting rid of distortions such as the healthcare exclusion, the net effect is very positive. But if lower tax rates are financed with increased double taxation (a major shortcoming of the Cong. Camp tax plan), then it’s unclear whether policy has improved. One final comment. I’m disappointed that the House Budget Committee’s report approvingly cites Congressional Budget Office analysis to suggest that the Ryan budget would boost economic performance. I think that’s a tactically and morally dubious approach. It’s tactically misguided because the Ryan budget supposedly hurts growth from 2015-2017 according to CBO’s short-term Keynesianism. And it’s morally dubious because it’s wrong to use bad arguments to advance good policy. The supposed added growth beginning in 2018 is based on the assumption that interest rates are the significant determinant of economic growth – which is the same thinking displayed in the left-wing debt video I shared yesterday. Paul Ryan and the House GOP can legitimately claim that the proposed budget is good for growth. But improved economic performance would be the result of a smaller burden of government spending and a potentially less destructive tax system. Those are the policies that free up labor and capital for the productive sector and boost incentives to utilize those resources efficiently.